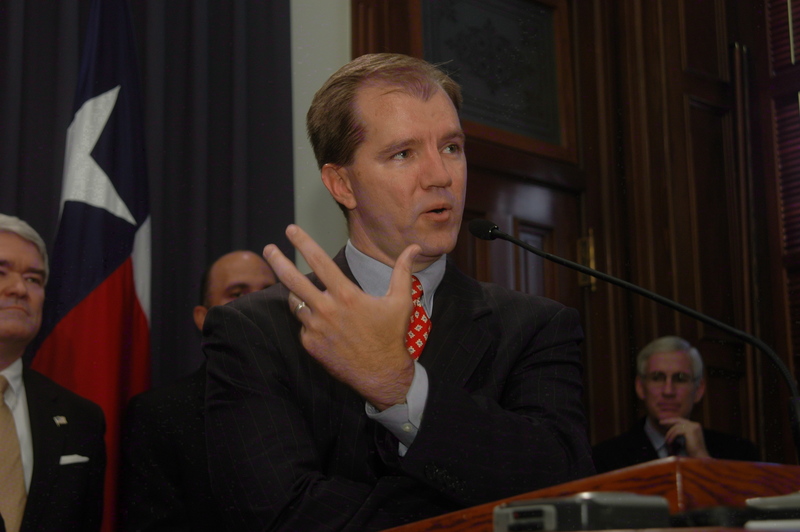 Justice Don Willett of the Texas Supreme Court has no trouble winning votes. But here's why he thinks the whole system is wrong. In early June the American Constitution Society for Law and Policy, the longtime progressive advocacy group, released the results of a landmark study on "the effect of campaign contributions on judicial behavior." The statistics confirmed what former Supreme Court Justice Sandra Day O'Connor and countless other observers of our legal systems have long contended: Judicial elections impair the fair administration of justice by fostering impermissible appearances of impartiality by judicial candidates and judges. In seeking votes, in acting like politicians, judges invariably lose what they ought to prize most: their perceived credibility as neutral arbiters of cases and controversies. When I read the study, the first person I thought of was Texas Supreme Court Justice Don Willett, a popular and successfully reelected jurist whose campaign-style website I wrote about last year for The Atlantic. Justice Willett, it seems to me, is the poster-child for the results of the ACS study. Indeed, he should have been on its cover. So I reached out to him, asked him to read the ACS study, and to then answer for me a few questions about his perceptions about judicial elections and the role campaign contributions play in them. About a month ago, he graciously complied in a way that was both candid and frightening. It's not accurate to portray the justice's words as a direct response to the ACS. He was responding as much to me as to it. But if you want to get a sense of the scope of the problem here, and of the mentality that campaigning judges or justices bring to an endeavor that is in inherent conflict with judicial ethics, this exchange is likely as good as you'll get. The thing to remember, as the Justice himself says below, is that he isn't an outlier in the system. Instead, he's playing the system with the skill and the diligence you would expect from a justice. And the voters of Texas keep sending him back to his post. Over the past year, a team of independent researchers has collected and coded data on more than 2,345 business-related state supreme court published opinions, which includes opinions from all 50 states during the years 2010 to 2012. The dataset was merged with over 175,000 contribution records that detail every reported contribution to a sitting state supreme court justice over the same period, or dating back to the last time the justice ran for reelection. Data have also been collected on related factors such as individual justice characteristics, ideology, and data about state processes to ensure a complete and robust empirical model for testing and analysis. Moreover, the data demonstrate that the empirical relationship between business contributions and justices' voting for business interests exists only in partisan and nonpartisan systems. There is no statistically significant relationship between money and voting in retention election systems. The data also show that there is a stronger relationship between business contributions and justices' voting among justices affiliated with the Democratic Party than among justices affiliated with the Republican Party. Because Republican justices tend to be more ideologically predisposed to favor business interests, additional business contributions may not have as large of an influence on them as they do on Democratic justices. Finally, there is a stronger relationship between business contributions and justices' voting in the period from 2010-2012 compared to 1995-1998. With the increase in competitiveness of judicial elections, campaign spending has skyrocketed. State supreme court candidates raised less than $6 million in the 1989-1990 election cycle. For the 2009-2010 election cycle, the most recent cycle for which aggregate data has been compiled, candidates raised more than $38 million, approximately $11.5 million of which was independent in nature. In three of the last six election cycles, candidates raised a total of more than $45 million. Indeed, throughout the 1990s, only $83.3 million was contributed to state supreme court candidates; in contrast candidates raised $206.9 million between 2000-2009. During the last decade, the flow of campaign contributions has been especially powerful in partisan races. Between 2000-2009, campaign fundraising was three times greater in states with partisan elections; candidates in these races raised $153.8 million across nine states, compared to $50.9 million raised in the thirteen states with nonpartisan elections. Mirroring the increases in direct campaign contributions, the last decade has also seen a dramatic increase in spending on television advertising in judicial races. Candidates and interest groups have realized that television advertising is effective in increasing name recognition and support for favored candidates, or alternatively, attacking their opponents. As a state judge with an active website that encourages campaign contributions what is your initial reaction to the conclusions in this report? Do you disagree with its conclusions or premise? Do you contest the findings? Why should litigants in Texas who do not contribute to your campaigns have confidence in your ability to remain impartial? What would you say to those people who read this report and have doubts about the notion of impartial justice in jurisdictions where campaign contributions play such an important role in determining who becomes (or stays) a judge? My website only accepts contributions during campaign season. My last day to fund raise was March 6, 2013, and thankfully I can't raise another penny until summer 2017, when the 2018 reelection campaign begins. State law restricts judicial candidates in terms of when they can fund raise, from whom they can fund raise, and how much they can fund raise. The ACS study raises difficult and consequential questions, familiar questions that frankly can't be raised enough. A former Texas Governor, Sull Ross, once said, "The loss of public confidence in the judiciary is the greatest curse that can ever befall a nation." I don't disagree. The Texas Constitution, however, mandates a judiciary elected on a partisan ballot. Calling this system "imperfect" is a G-rated description, and I'm intimately acquainted with the myriad drawbacks, and they are plentiful. On the one hand, Texans insist on their right to elect their judges (though they can't name any of us). On the other hand, they harbor suspicions about the role of money that ACS chronicles. I've long favored smart judicial-selection reform -- every member of my court does -- and every legislative session, reform measures are filed ... and then they fail. Both major parties and lots of activist groups in Texas oppose changing the current partisan elected system. Interestingly, the business lobby and tort-reform groups all favor scrapping our current judicial-selection system. In other words, those who allegedly benefit from the current system aggressively favor replacing it. But the status quo is deeply entrenched, and legislatively, the wheels always come off. I haven't studied the ACS reports findings or methodology, but I understand 100% the suspicion that donations drive decisions. That skepticism siphons public confidence, and that's toxic to the idea of an impartial, independent judiciary. I can only speak for myself and say that it flatly doesn't happen. I'd be shocked if people didn't look askance at such a flawed system. I do, too, having had close-up experience spanning several contested statewide races. Nothing would please me, or my wife, more than if my last election were my last election, and between now and 2018, Texans would opt for a smarter system. Hopeful? Yep. Optimistic? Nope. There is an awful lot to digest here. The justice is saying that he holds his nose while he campaigns for votes by pledging to be "conservative" and by placing the endorsements of men like James Dobson and Foster Friess (and current Texas Attorney General Greg Abbott) on prominent places on his website. (How would you feel, as an atheist, with Justice Willett on your case?) And he is saying that the decidedly pro-business Texas legislature is more to blame than the decidedly pro-business Supreme Court for the decidedly pro-business bent of Texas law. They have reaped what they have sown. With respect to the basic question of whether money/contributions drive his or his peers' decisions, while we would not suggest we think he himself is influenced or approaches any cases in bad faith, obviously the public strongly believes there is a correlation -- and that perception is itself damaging to the judiciary, whether or not any judges consciously allow the knowledge of contributors to seep into their decision making. Put differently, even if donations don't drive decisions, the hit to public confidence in the courts (which he repeatedly acknowledges is an issue) is itself a serious problem; more generally, it's well established that even an appearance of bias itself raises due process concerns. Moreover, in a national survey of more than 2000 judges about a decade ago, nearly half of state court judges -- 46 percent -- believe that campaign contributions have some or at least "a little inﬂuence" on their decisions. So his peers are a lot less confident than he is. Finally, the chummy relationships that emerge from the fundraising judges have to do almost certainly create implicit biases, even if judges aren't consciously shaping decisions to please donors. Also, even putting aside the way special interests influence judges, he acknowledges a related problem that you need a lot of money in order to run a competitive race. One result of this is that deep-pocketed companies who litigate often -- and the lawyers who represent them -- have an outsized ability to shape the court's composition. No lawyer, no matter how talented, has a legitimate shot at winning a seat on the bench if they can't perform well in the "wealth primary" -- so long before judges are on the ballot for the general public to vote, there's a preliminary vetting process in which only the donors get to vote. This clearly is likely to skew the bench toward judges likely to be more sympathetic to the donor's worldviews and priorities. On a more fundamental level, the disconnect between politician on the campaign trail and neutral arbiter on the bench doesn't help to educate the public about what judges do and why they are different from politicians. Of course, this is a critique of the system more than any one judge, but it underscores another way in which judicial elections undermine the independence and credibility of the judiciary. So there you have it. The citizens of Texas have made a conscious choice to elect their judges in this fashion. And the state's power brokers are content with the arrangement. The people who lose out in this bargain are those who almost always lose out: The politically powerless, who rarely have a strong voice in the state legislature, now have an even meeker voice on the state Supreme Court. The American ideal is that our courts are the one place in government where money is not supposed to make a difference. But in Texas, money makes all the difference in the world. Don't believe me? Just ask Justice Willett.